Hellas Construction is continuing its movement to assist non-profit organizations in building Fields of Dreams for Kids in under-developed areas by developing its own grant program. Hellas has decided to move forward, on its own, with a private grant program that will allow non-profit organizations to build different types of fields for various sports, even mini-sports fields or playgrounds, in neighborhoods and cities throughout the United States and Puerto Rico. Although Hellas is the preeminent sports construction builder for professional sports organizations, schools, and universities nationwide, it is committed to giving back by expanding the opportunities for youth to participate in sports and activities in a safe environment on a safe surface. This will allow children nationwide to develop rudimentary skills in a variety of sports and activities, because to Hellas, more than the game matters. Sports help children learn to be apart of a group, learn teamwork, follow instructions, cooperate with peers, develop gross motor skills, and reap all the benefits of staying physically active. Hellas builds fields as small as its Kickabout® play surfaces from 2000 sq. ft. up to 20,000 sq. ft. or as big as a full size football, soccer, softball, or baseball field. 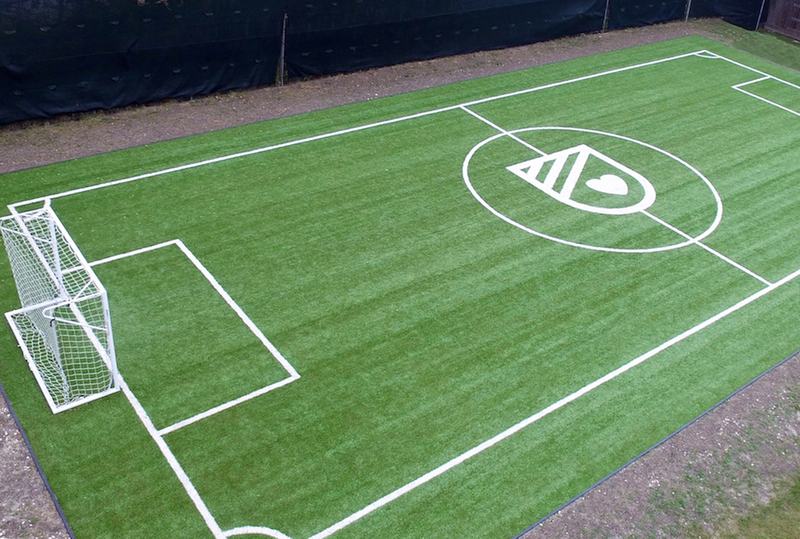 All surfaces can be built with Hellas’ patented Matrix® synthetic turf that has been proven dependable and durable with over 10 years on the market, without failure.